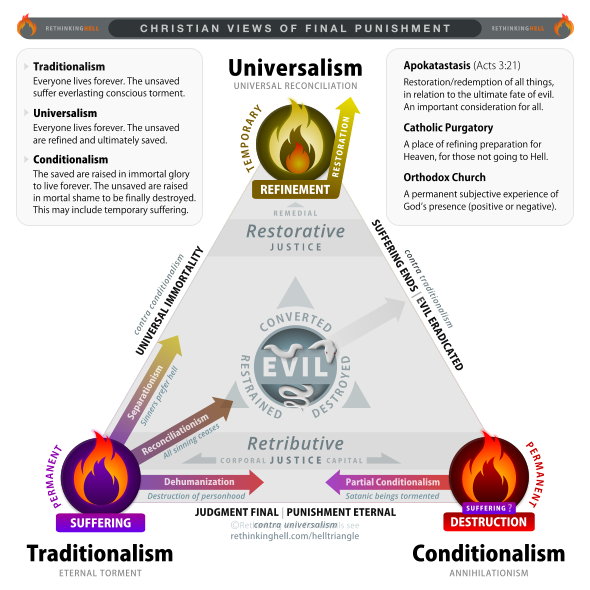 Christian views of final punishment: the “hell triangle” revised. Kudos to Peter Grice and the folks at Rethinking Hell, for a nice revision of the “Hell Triangle,” which expertly depicts the key alternative Christian views of final punishment. It is available at the link above, in many formats, along with brief descriptions of the major alternatives in current Christian discussion of this important subject. This entry was posted in Eschatology and tagged hell. Bookmark the permalink.